The National Center for Healthy Housing (NCHH) is the preeminent national nonprofit dedicated to securing healthy homes for all. 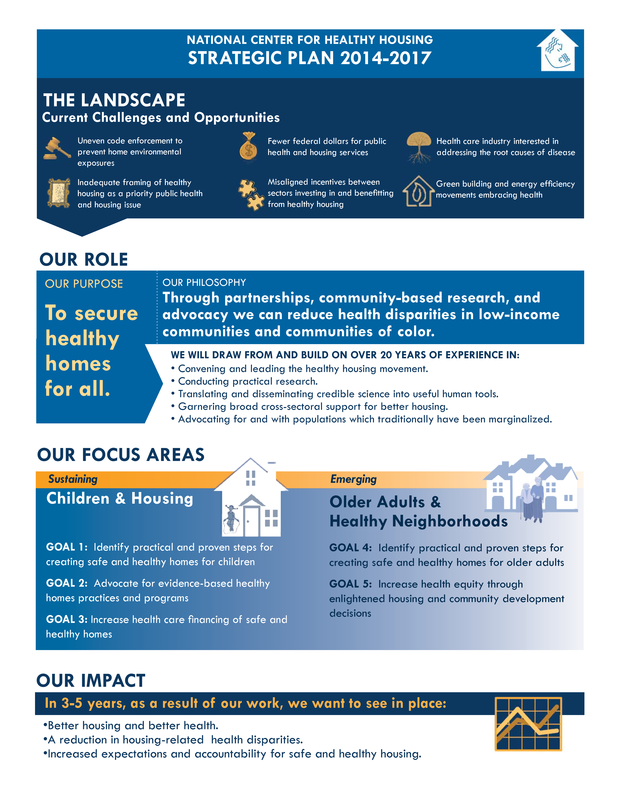 Since 1992, NCHH has served as a highly regarded and credible change agent, successfully integrating healthy housing advocacy, research, and capacity-building under one roof to reduce health disparities nationwide. NCHH is a 501(c)(3) nonprofit corporation based in Columbia, Maryland. Click here to open a PDF of the image below.